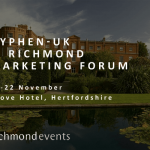 In March the 8th Hyphen-UK will participate in the Richmond Digital Marketing Forum, which will be held at the prestigious Grove Hotel in Hertfordshire. 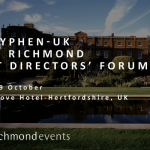 Richmond Events are the pioneers of one-to-one, pre-scheduled business forums which match buyers and sellers to generate new business, learn from each other and network. 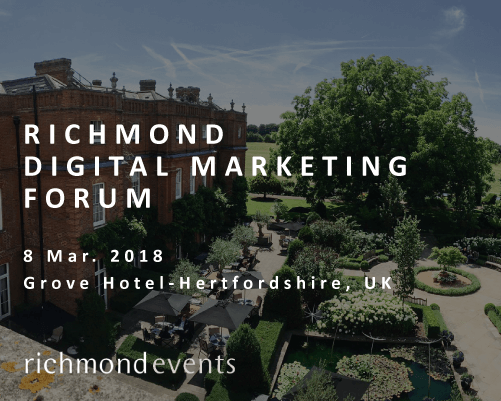 The Richmond Digital Marketing Forum will bring together more than 50 industry-leading service providers with more than 100 Digital Managers, including Digital Marketing Manager, E-Commerce Manager, Social Media Manager, Head of Digital Acquisition, Digital Acceleration Manager. Already chosen by many major brands in the Fashion, Luxury, Industry and Retail sectors, our HSL and Chalco.net products allow you to manage all production processes of communication materials more efficiently and effectively starting from the construction of the Digital Identity of the Brand and Product, including images, copy, translations, data, metadata. Our solutions are equipped with workflows and services able to recall, manage, adapt and distribute the Master Data Product Marketing on all applications and different online communication and sales platforms. On this occasion we will be happy to talk to you in depth about Chalco.Net’s solutions for the creation and management of digital marketing projects, including services for the optimization, adaptation and dynamic customization of digital banners; platforms to support Media Planning and Management; portals for the production and distribution of POS materials and creation, management and supply of E-commerce product content. Are you going to these events? As we would be delighted to meet you! For more information on our solutions, you can also contact us by writing to info@hyphen-uk.com.